Below is an essay on "Laong Laan" from Anti Essays, your source for research papers, essays, and term paper examples. 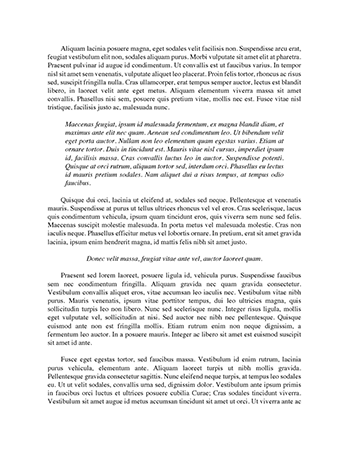 Below is a free excerpt of "Laong Laan Reaction Paper" from Anti Essays, your source for free research papers, essays, and term paper examples. On Thursday, September 13th, 2012, our Socsci class watched the "Laong Laan" play presented by the UMAK students at the 6th Floor of the New UMAK building. It was a musical play about the life, the love, and the passion of the greatest Filipino who ever lived, Jose Protacio Rizal. I searched for the meaning of Laong Laan and found out that Jose Rizal used this as a penname in the 1890s when he wrote poems and articles for La Solidaridad, then the Propaganda Movement's strongest voice. Literally translated it means "reserved for a long time" and figuratively it means "laging handa" or "ever ready." Being ready or being prepared at all times is just one of the many lessons I have learned in watching the play. Rizal was and is still an inspiration in school, at work and in life. It was a good feeling watching the play because it is like watching him during his time. It was very inspiring to see how he sacrificed his life, how he fought for his ideals and how he showed the love for his country and the people. During his travels abroad, Rizal remembered his country and his patriotism inspired the novels Noli Me Tangere and El Filibusterismo, which reawakened the sense of nationalism among Filipinos. These novels until now remind us to have courage and to contribute for the betterment of our country. The play also reminded us that aside from Rizal's works and martyrdom, he was a disciplined man. He kept educating himself and kept his body fit because he knew he was a sickly man. Rizal was a disciplinarian and we Filipinos should not forget this. It is through this discipline and focus that Rizal, the ordinary man, was able to do things extraordinarily.